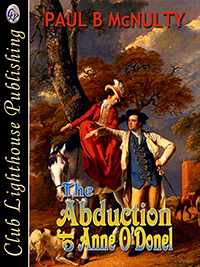 Ten people are murdered in an inheritance-motivated feud at the Bodkin residence in 1741. 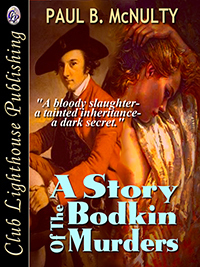 Following the killings, John Bodkin becomes heir to that estate in Galway. He is now free to marry Catherine Bermingham, the gorgeous daughter of Lord Athenry. But their plans are clouded by the ensuing trial in which John’s cousin, Shawn Bodkin, is one of those convicted. In a statement from the gallows, Shawn accuses John of fratricide in an earlier conflict. Instead of protesting his innocence, John goes on the run only to be apprehended by the army. At his trial, John refuses to plead either guilty or not guilty to the murder of his brother Patrick. Only Catherine knows why. 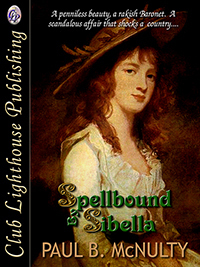 She is the keeper of a dark secret, which John insists must remain hidden, even if it costs him his freedom or his life. 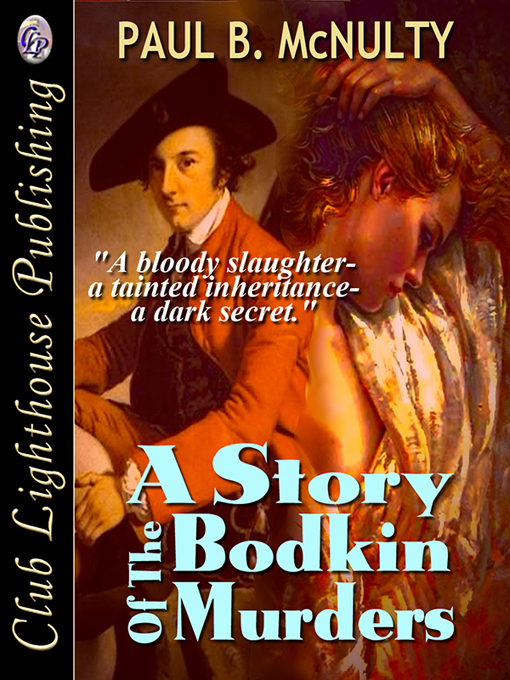 Based on real events, A Story of the Bodkin Murders explores a fascinating tale of treachery, greed and romance in 18th century Ireland. AS JOHN BODKIN WALKED through the door, the smell of stale blood assailed his nostrils, nauseating him. The blood was everywhere in the hallway: spattered on the carpet, on the great clock and on the hanging mirror. He scarcely recognized his family home. A shiver ran up his spine as the agent, James Joyce, gestured towards two crumpled bodies at the end of the dimly-lit hallway. John stared at the slit throats of the dead bodies. It took a few moments before his brain registered what his eyes were seeing. Good Lord! Surely, those are not the bodies of the butler and the housekeeper? A cold sweat washed over him and his gorge rose. He dashed out into the fresh air. Placing his hands against the wall of stone, he fought to retain the contents of his stomach. When he had regained control, John saw three out-servants leaning over the body of a dog in the farmyard. “Nothing seems to have been taken from the house.” Joyce’s voice quivered. “Where is Uncle Oliver?” Surely, his uncle would know what had occurred. John trembled. “I must see him.” He re-entered the house that he knew so well and followed Joyce, stopping at the entrance to the bedroom of the Master of Liscarrow. “Please do not enter,” Joyce pleaded. John steadied himself. He turned the knob and slowly pushed the door open. Oliver Bodkin lay in the bed, high on the pillows, his eyes and mouth opened wide. Blood had congealed on his throat. His heavily pregnant wife, Margery, lay beside him, her throat slit also. “I don’t believe this!” John cried. It cannot be true. I must be dreaming. How could such an outrage have occurred in the quiet village of Belclare? He felt the strong arm of Joyce around his shoulder. John walked towards the window feeling dazed. For a moment, he thought he had caught a glimpse of his loveable cousin, little Oliver, riding a pony in the garden. How he had enjoyed teaching him to ride while the child’s mother had looked on. Tears welled in the eyes of the agent as he glanced downwards to the side of the bed that John had just passed by. “No. No!” John shouted. Little Oliver was dead, a bloodied axe beside his mutilated body. John could take no more. He ran out of the house. This time he felt like puking but his stomach was empty. There he remained for some time as he tried to make sense of the gruesome slaughter. He forced himself to return and walked through the ground floor. Apart from the desecrated hallway, the reception rooms were in a pristine state. There was no sign of robbery. The silver plate sat gleaming and untouched on the sideboard of the dining room.